The In Practice Prevention (IPP) Programme is an Oral Health Prevention initiative developed by the North Yorkshire & Humber Local Dental Network. The programme has been developed by the Local Dental Network in partnership with PHE and forms part of the Starting Well National Prevention Programme working towards improving the dental health of young children. The In Practice Prevention Programme is targeted at children with dental decay in areas of higher than average dental disease rates. It was developed in response to the Yorkshire and the Humber Oral Health Needs Assessment of 2015 which identified high levels of dental disease in parts of the North Yorkshire and Humber Area. 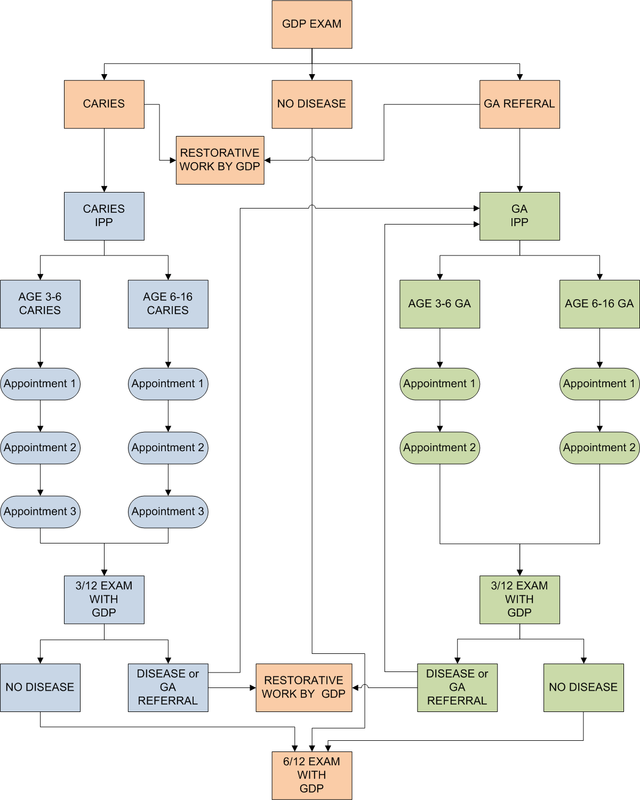 The IPP Programme requires General Dental Practitioners (GDPs) to signpost children identified as having decay or requiring a GA extraction between 3 and 16 in to Dental Care Professional led prevention clinics where evidence based prevention is delivered over a defined number of appointments with prescribed evidence based interventions and messages. In this way comprehensive, consistent advice and interventions are delivered targeted at children with disease in areas where disease rates are highest. The IPP pathways are delivered in parallel with the restorative work undertaken by the signposting GDP and the GA extractions provided by the Community Dental Services. Web portal built and managed by NWORTH Clinical Trials Unit in support of the North Yorkshire & Humber Local Dental Network.